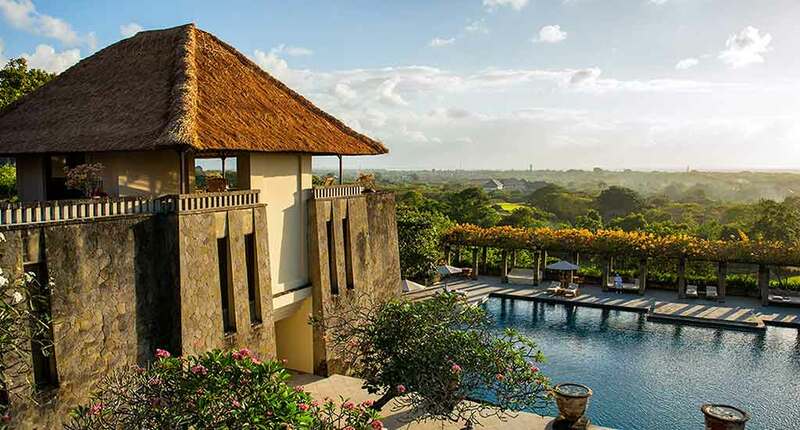 The Amanusa Bali resort is sitting on the hills overlooking the panoramic views of the Indian Ocean and Nusa Dua’s tropical scenery. 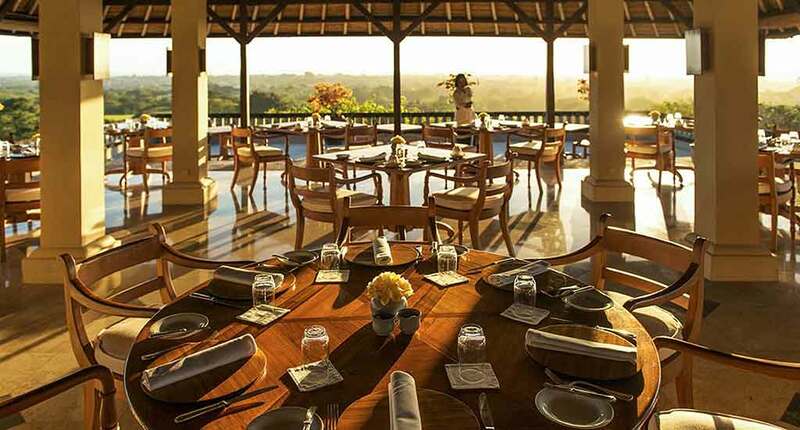 Only twenty minutes away from the airport, the resort is located in the South of Bali well-known for its sandy white beaches and high-end resorts and hotels. The resort name was inspired by its location, “amanusa” being a word that means “peaceful isle” True to its name, the resort embodies the serenity of its surrounding environment. 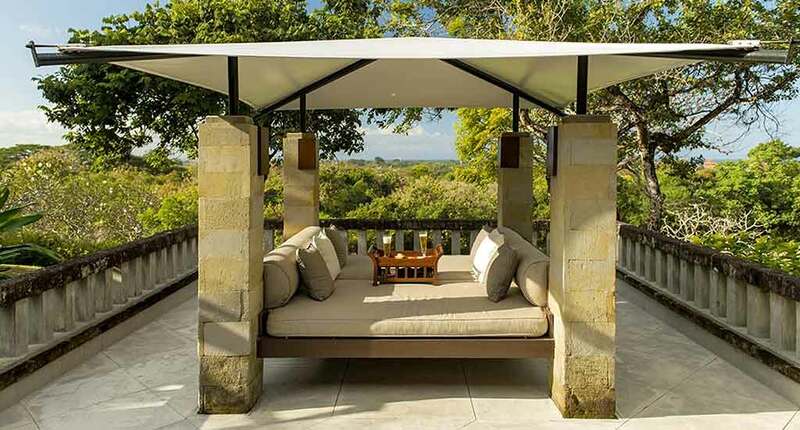 Amanusa has 35 free-standing private villas. 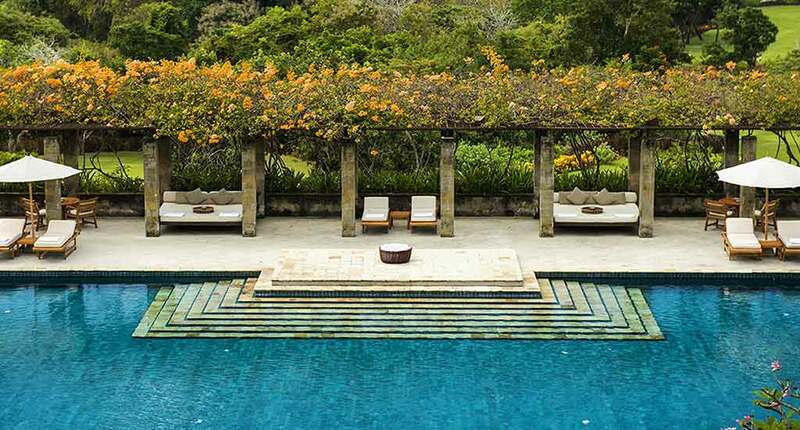 Each villa has its own private pool which is encircled by a beautifully arranged terrace and comfortable lounges just waiting for you to sit down and relax. There is an open-air dining area, too. 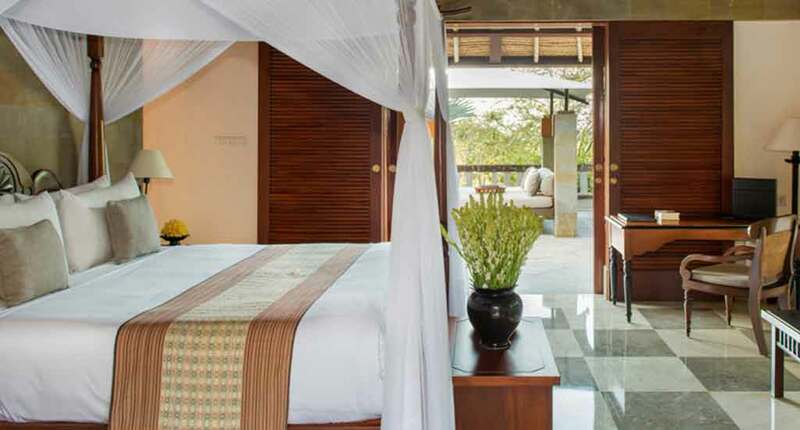 The rooms are embellished with traditional Balinese motifs elegantly combined with modern textures and designs in order to create the perfect relaxing environment. 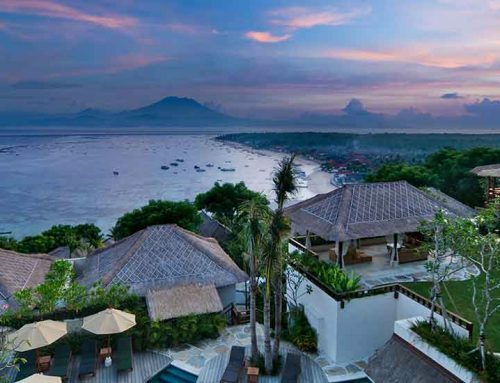 The exterior was also designed to merge with the local surroundings and to interfere as less as possible with the aesthetics of Bali’s tropical views. 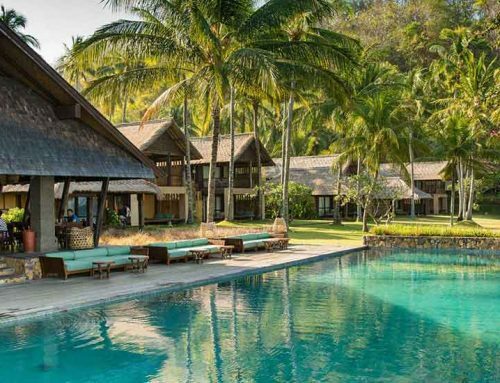 The roofs of the villas are thatched in the style of the local houses, which echo centuries of local tradition. All rooms have a table for private dining, magnificent ocean or garden views, a spacious garden or courtyard, an outdoor shower with lily pond, and a bathroom with sunken indoor bath. Private swimming pools are available. The bedrooms are oases of calm and tranquility, with a lavish four-poster king bed and en suite bathroom. And if you don’t feel like taking a bath, you still have your own outdoor shower. Large windows bath the room in sunlight and display an abundance of verdant flora. Even though you have your own pool, you can take a dip in the resort’s shared pool if you’re ever in the mood for socializing with other people checked-in at the resort. The resort also includes a spa ready to unwind and let out all that negative energy you’ve been building up. 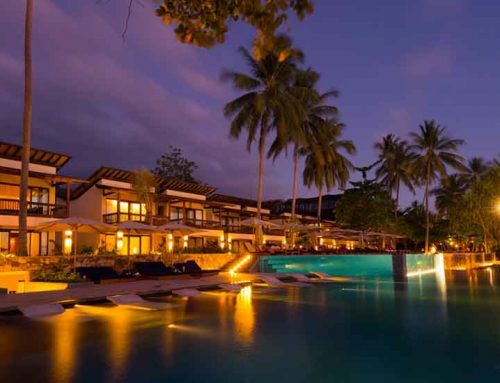 Moreover there are two classy restaurants and a boutique shop which is perfect for guests that don’t want to tear themselves away from the resort’s relaxing setting. The resort has also a beach club and tennis courts. Both are included in the price of your stay. 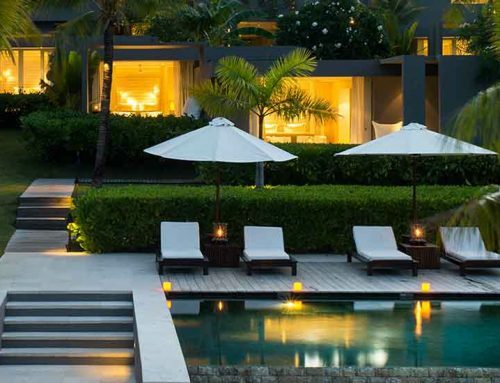 Amanusa is a serene retreat that offers a relaxing tropical getaway, but it’s also located close to Sanur, Legian and Seminyak, Bali’s most trendy shopping and nightlife areas. The perfectly groomed greens of the near 18-hole golf course are ready to provide you a relaxing experience. In respect of watersports you can go snorkeling. 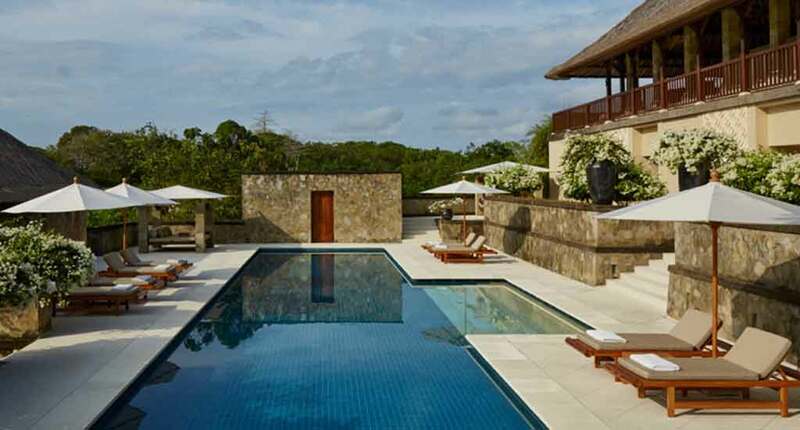 The Amanusa Bali is part of the Aman group and for sure, one of the world’s most exclusive holiday destinations. You will experience highest standards, pure relaxation, privacy, stunning views, and the beauty of nature in perfection. It’s really an unique place to forget the world around you. Address: Jl. Nusa Dua, Benoa, Kuta Sel., Kabupaten Badung, Bali, Indonesia. You find the website here.